Can this be used indoors in a kitchen corner? The KM Ant Pro Bait system is designed to be an outdoor feeding system that provides a source of carbohydrates in the form of a liquid ant bait. The foraging ants pick up this bait and carry it back to the nest - killing them. Ants indoors are usually more specific, looking for grease, food crumbs, etc. The Liquid Ant Bait cannot compete with these food sources and therefore is not a good indoor treatment. Outdoors it will give ant what the are looking for. 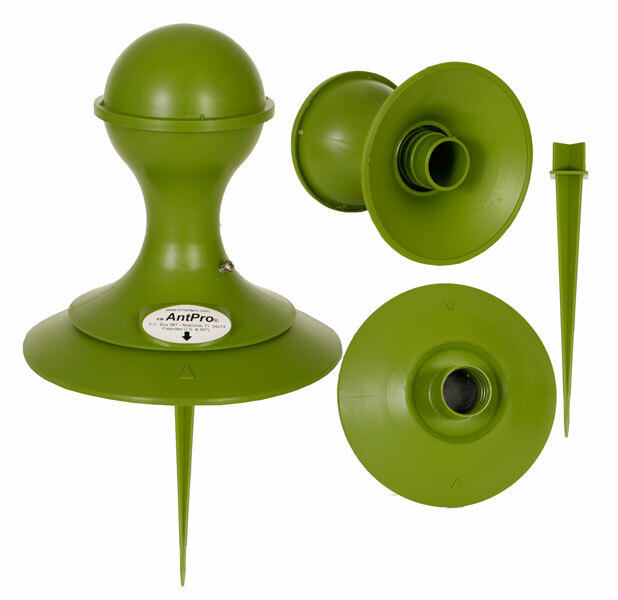 When used outdoors, the ants that are foraging indoors will eventually find the Ant Pro dispensers. Bottom line is that we don't recommend to use them indoors. If you want a good indoor bait, try using Advion. It can be applied along window sills, counter tops, inside of wall switch plates etc. We don't recommend to use it where children or pets can get to it, just for safety's sake. It wouldn't hurt them unless they ate the entire tube.